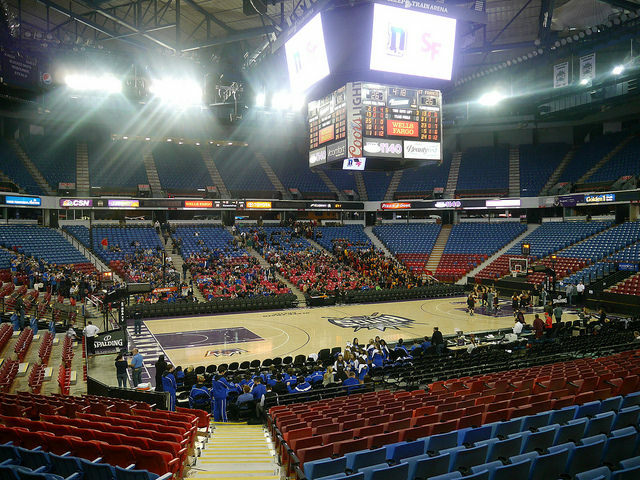 When my high school’s women’s basketball team played its rival in Sacramento’s Sleep Train Arena (the former home of the Sacramento Kings), I went baseline to shoot the action. 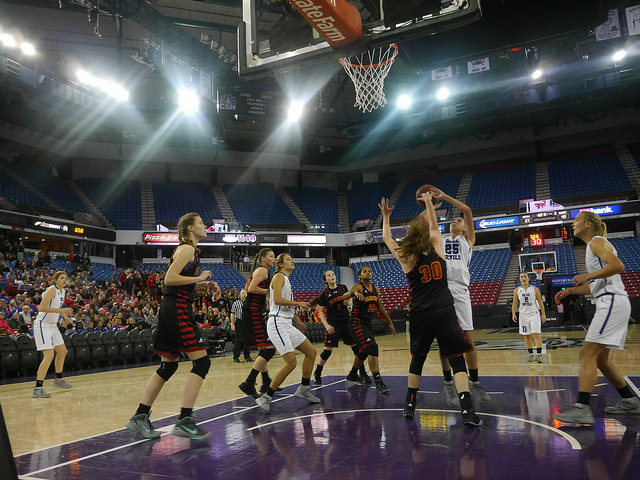 The Davis High women’s basketball team played St. Francis at Sleep Train Arena on Friday, Jan. 8. 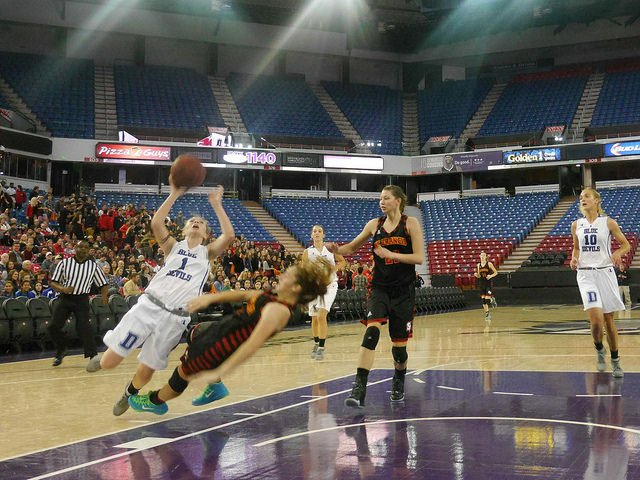 Sophomore Grace Gulsvig is fouled going up to the basket. Freshman Kelsey Forrester knocks a defender to the ground and is called for a charge. 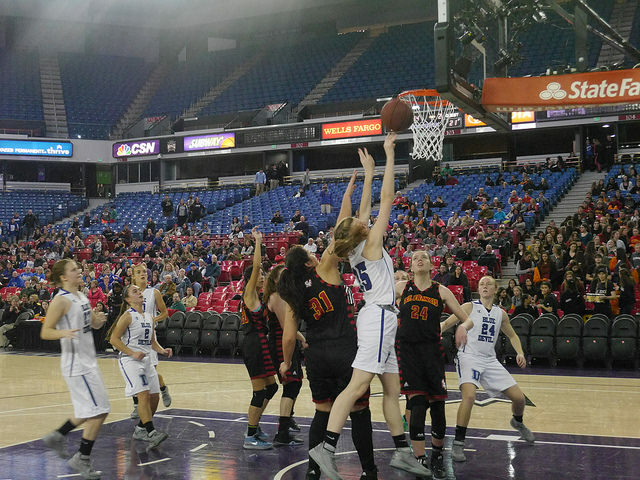 Junior Cara Satre attempts to grab an offensive rebound but loses the ball.